Bali Luwak Coffee is famous as the most delicious coffee in the world. You may found Bali Coffee Plantation all over the island. And you may taste the most expensive coffee in the world inside the farm. Not only Luwak Coffee, you may also taste other Balinese specialties. Visiting coffee farm is popular activity for the tourist during their trip. It is a great experience to taste the Luwak Coffee in the middle of green local farm. 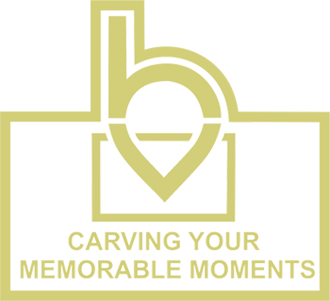 This site is the most recommended thing by Bali tour driver. Most of the people is wondering why it is called Luwak Coffee. First we need to inform you the history of this special coffee. Luwak is a nocturnal animal that active in the night time. In other countries, Luwak is called Civet. This animal is a wild mouse species but it size is more like a cat. They live in the forest especially around the mountain area. Balinese coffee bean is their favorite food. 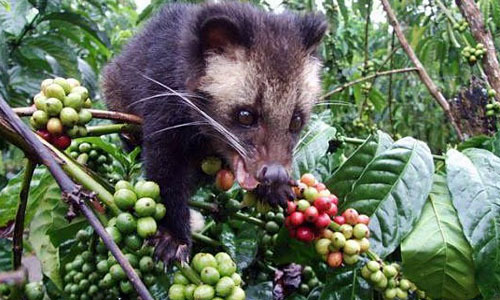 And the unique thing about this animal is they have a high standard on choosing the quality of coffee bean. They will only eat the high grade quality bean and leave the lower quality. They are not chewing the coffee bean like ordinary food but they swallow them directly. So the bean is not destroyed and still in a very good shape but only lost their outside skin. When the bean is inside the Luwak’s stomach, the coffee bean is going through the digestion process. The digestion process by Luwak’s stomach acid is lowering the caffeine level. And it is increasing the aroma and the taste of the coffee. So at the end, the Luwak Coffee has less caffeine level but has stronger smell and taste. This reason and the difficulties to find bean that swallowed by Luwak has made this coffee becomes the most expensive coffee in the world. In the Bali Coffee Plantation you are not only introduced to the local Balinese spices plantation. You also will having experience the way we are preparing our coffee in traditional way. Special for Bali Luwak Coffee, after we get the coffee bean from the pup of Luwak we need to wash and clean them properly. Then we have to dry them under the sun for few days. When the bean is dried we will cook them on the hot frying pan until we can smell the caffeine in the air. Then we will smash the bean into coffee powder. How It Becomes So Popular? Bali Luwak Coffee has been popular since the Dutch Colonialism. It begins when the colony not allow the local farmer to drink coffee made from fresh coffee bean. Some farmer realized that Luwak’s pup contains a good coffee bean. Then they make coffee from the bean they found. Unexpectedly, the coffee made from Luwak’s pup is more delicious than the ordinary coffee. Since then the colony of Dutch decide that Luwak Coffee is a premium and only can be afford by rich people. Other than Luwak Coffee, there are several other products in Bali Coffee Plantation as well. Such as Ginger tea, Lemongrass tea, Mangos teen tea, Coconut Coffee, Arabica Coffee, and Robusta Coffee. If you are doing Ubud Tour Itinerary or Kintamani Tour Itinerary, do not forget to stop by in of the coffee plantation around Tampaksiring area. Most of Bali Private Tour will have coffee break during the day.